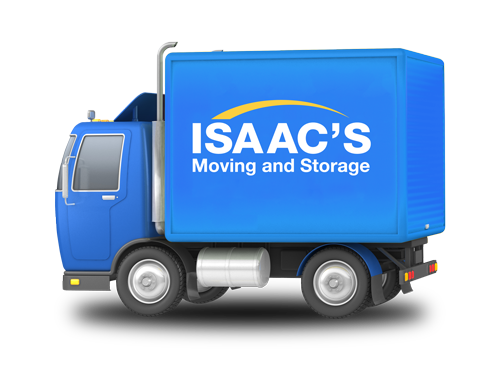 Isaac’s Moving & Storage have been helping clients move for over 25 years. We provide professional packing services, offer packing supplies and daily, we offer advice to our clients how to pack. Below are some frequently asked questions our moving and storage consultants hear about packing with responses from our experts. Q: What are some materials I might need for my move? Materials you will need for moving include good quality 2” packing tape, tissue paper or other packing paper, bubble wrap for fragile items, utility knife, scissors, permanent marker and quality boxes. We recommend you buy good quality moving boxes designed for the items you are packing. For valuable and fragile items, consult your move manager, we can pack them for you. Q: Speaking of quality boxes, how many different types/sizes of boxes does Isaac’s provide? We provide a variety of boxes that match the items being packed. This includes small, medium, large, dish, wardrobe, lamp, picture and archive boxes. Q: How will I obtain the boxes ahead of the move? Isaac’s will conveniently deliver packing materials and boxes ahead of your move so you can solely focus on preparing your home for the move. Contact us for more details. Q: Can I customize the packing services I hire Isaac’s Moving for? Isaac’s can provide full-service packing, which means we take care of all packing needs, partial packing services, unpacking services and self-packing services, where we provide the packing materials for you to pack your belongings in yourself. Q: How do you charge for packing services? We charge by the hour, depending on the number of packers your goods will require. Our consultant will visit and work with you to understand what needs to get packed and how much you have. Usually we will plan so that packing will be done in one day. Q: Are my packed items insured? We provide the basic $.60 per pound coverage with every move, meaning if an item weighs 110 pounds and it gets damaged, you will receive $60.00. We also offer comprehensive coverage and full replacement valuation with various deductibles.